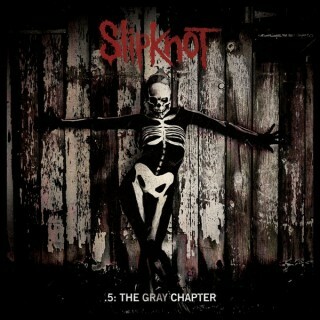 The Gray Chapter is the fifth major label studio album by American heavy metal band Slipknot. It was released in Australia, Belgium and the Netherlands on October 17, 2014, the UK on October 20, 2014 and in North America on October 21, 2014. It is the first studio album by the band in six years and the first to not feature founding bassist Paul Gray and long time drummer Joey Jordison due to the death of Gray in 2010 (the title of the album being a reference to his name), and the departure of Jordison in late 2013. A standard and deluxe edition of the album was released. The deluxe edition features two listed bonus tracks and 3 unlisted bonus tracks, as well as another special edition featuring a T-shirt of the album cover has been released. © 2019 Copyright Slipknot Tour.